St. Gilbert Catholic Church – Joseph J Henderson & Son, Inc. Architect: Jaeger, Nickola & Associates, LLC. A 15,000 S.F., two-story brick addition for the parish was valued at $2,050,000. 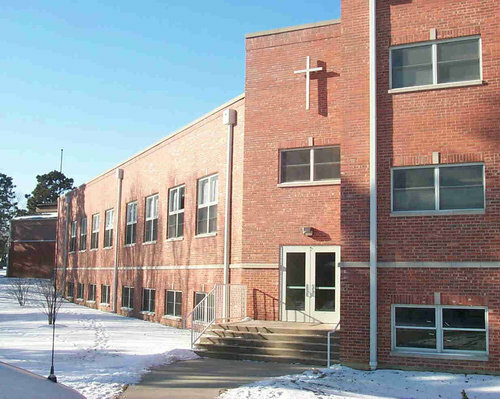 The addition consisted of six new classrooms, a divisible multi-purpose room, and a new kitchen facility to service the new multi-purpose room and existing parish center. A 22,000 S.F. 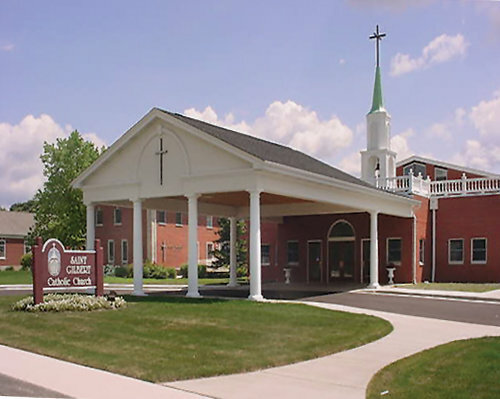 addition valued at $4,300,000 completed the remodel of the existing church. The steeple rises from the center of the church with a portico constructed at the north entrance for those being dropped off by car. 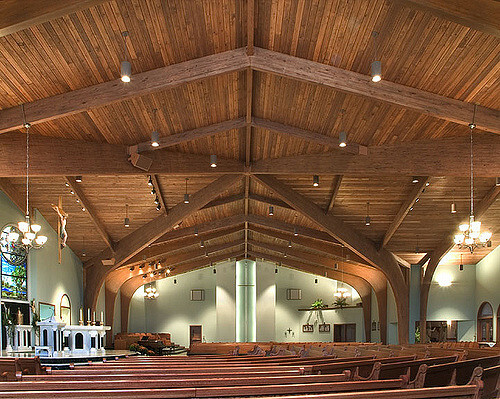 The entire ceiling was framed with wooden beams for strength and aesthetics. Some highlights incorporated into the new addition include the 12 stations of the Cross embedded in the floor, a new baptismal, imported Italian marble and stone, plus six foot diameter stained glass windows depicting the evangelists Matthew, Mark, Luke and John.